CBN lifts FX operations restrictions all commercial banks sanctioned last week for non-remittance of NNPC funds. 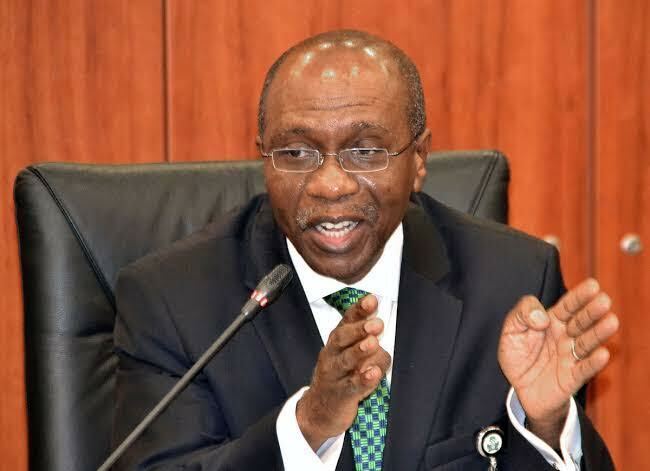 The Central Bank of Nigeria has lifted the restriction on Foreign Exchange transactions it placed on 9 commercial banks last week for failing to remit $2.12 billion belonging to the nation’s oil corporation, the Nigerian National Petroleum Corporation (NNPC), into the Treasury Single Account TSA. The nine banks comprised of three tier-one lenders and six tier-two deposit money banks. 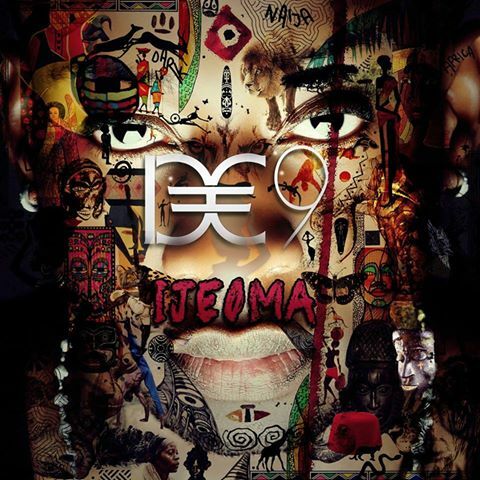 He goes by the alias the ‘Love Beast’ and here is a Massive hit from the upcoming star D€9 “Ijeoma”. Listen and enjoy this banging tune from superbly talented act. Produced by David young & Video directed by the celebrated cinematographer ‘MEX’, 9jason delivers a good debut record and flaunts his dancing skills effortlessly. dubbed “Run Things” under the imprint of MMM Records. with Nelz made this anthem, for your entertainment. 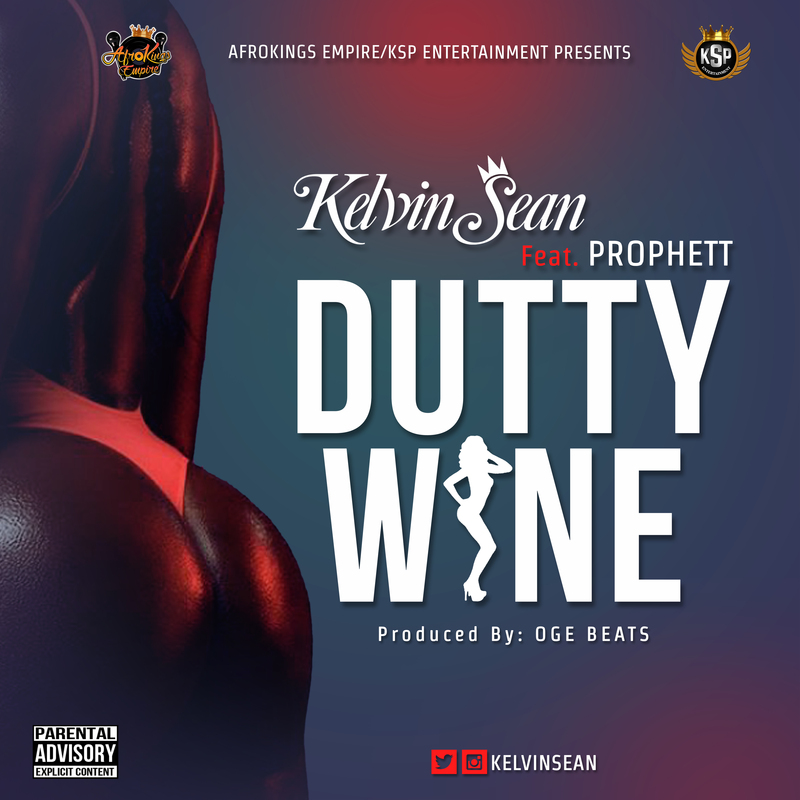 The crispy visuals for the tune was directed by Kacube Creatives for A Key Visuals. Check on it and share your thoughts in the comment section below. 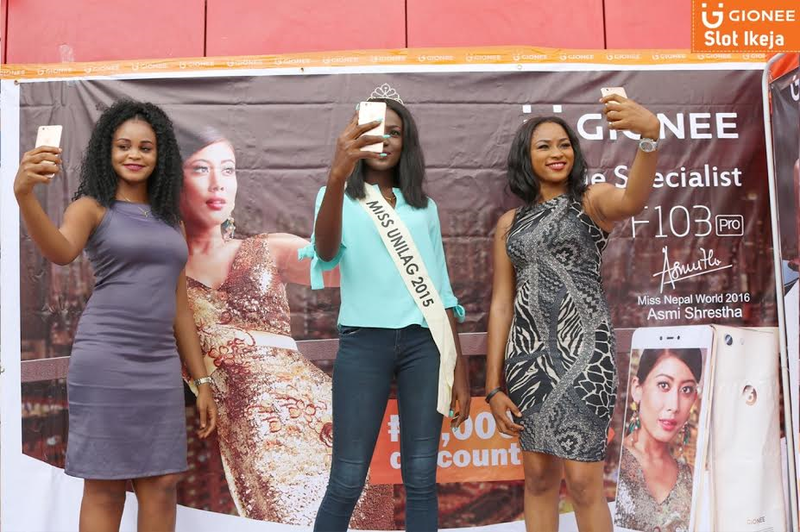 Riding on it’s already established presence in the Nigerian market and the huge successes recorded with the introduction of classy, user and price friendly models like the M5, M5 mini, P5W, and S Plus devices, GiONEE is now set to launch its new device the F103 pro in phone sales outlets Nationwide after a very successful pre-order campaign. The Pre-Order activation, ranfor an entire week all across Nigeria, and featured a number of fun activities like music, dance and skating. 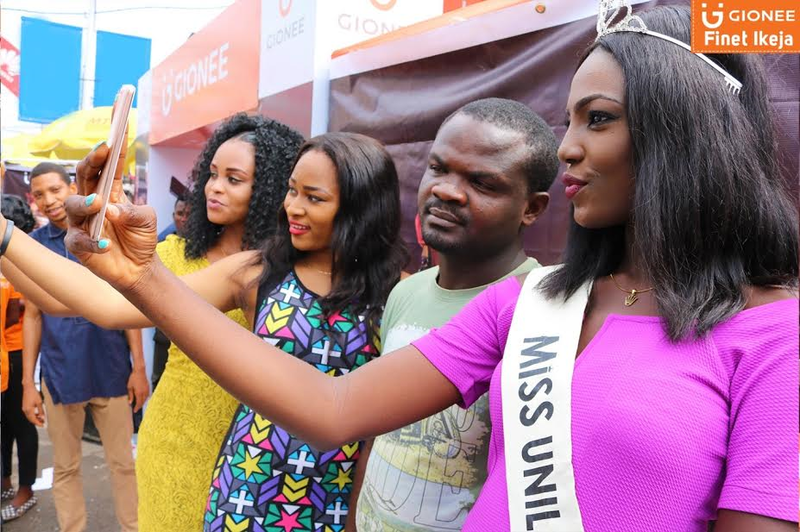 To add elegance to the event, the current Miss University of Lagos 2015 and a number of other beautiful models were also around to take selfies with customers and GiONEE lovers. 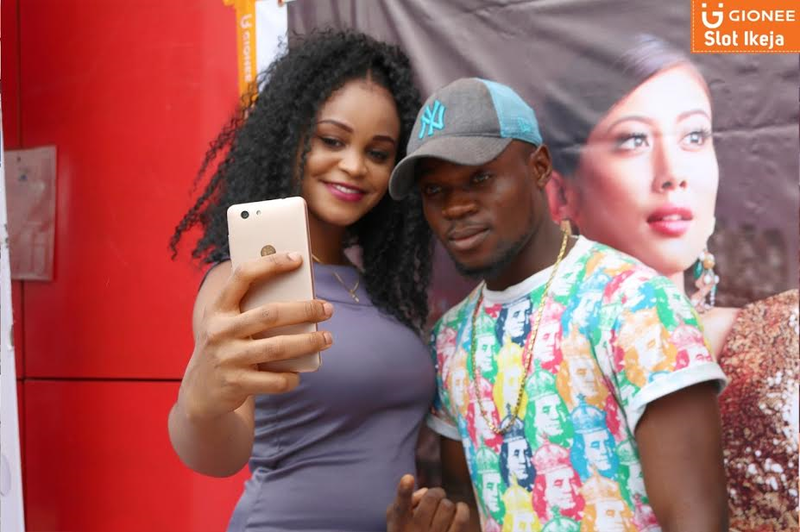 When asked about her experience working with GiONEE and the new GiONEE F103 Pro, she said “GiONEE is a very wonderful brand, their attention to detail in their devices and focus on creating beautiful, sleek and classy phones like this F103 Pro in my hand, makes them a brand I am happy to associate with any day, anytime. Consumer reception of the new GiONEE F103 Pro was very impressive with Pre-Orders far exceeding the anticipated numbers. Many customers couldn’t even believe the amount the device was going to be sold for considering all its features. “I love GiONEE devices, I have been using them for over 4 years now, and this F103 Pro will be a great gift for my girlfriend for her birthday next month” Dapo Salami an undergraduate at the university of Lagos told us during the activation held within the campus. 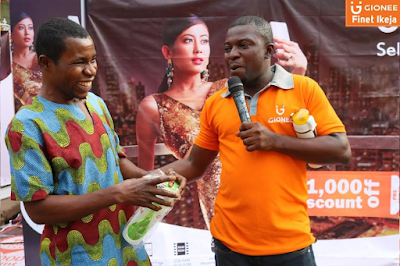 This all serves as a testament to the confidence Nigerian customers now have in the GiONEE brand and of GiONEE’s understanding of the needs and preference of the market. 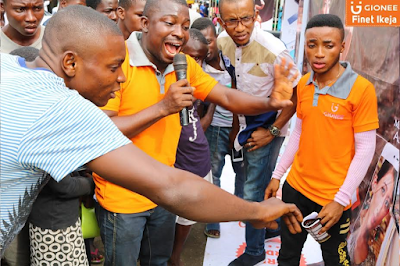 This fact, the Marketing Director, GiONEE Nigeria MrHabeebSomoye also confirmed from his statements “Reception of our GiONEE devices so far has been very encouraging, and sales numbers have increased even during this economic hard times in Nigeria, that’s why we are aggressively expanding to other areas and new states, communicating with Billboards, TV, Radio commercials and now road shows and activations, because we want people to see for themselves just what makes GiONEE such an amazing device, I assure you the moment you use a GiONEEdevice you will fall in love for life and recommend to friends and family.“So what makes the F103 Pro so amazing? See for yourself. The F103 pro comes into the market with a 13mp back camera and 5mp front camera with flash that makes your pictures come out looking crisp and crystal clear even in low-light conditions, and the face-beauty feature that guarantees you always look your best in every shot. However, the camera isn’t the only cool thing about the F103 pro. It also boosts of 2.5D Curved edge screen, 5.0” HD IPS Display for sharp and crisp images, as well as other amazing features like, text recognition, a 2400mAh battery capacity, and 2GB RAM. 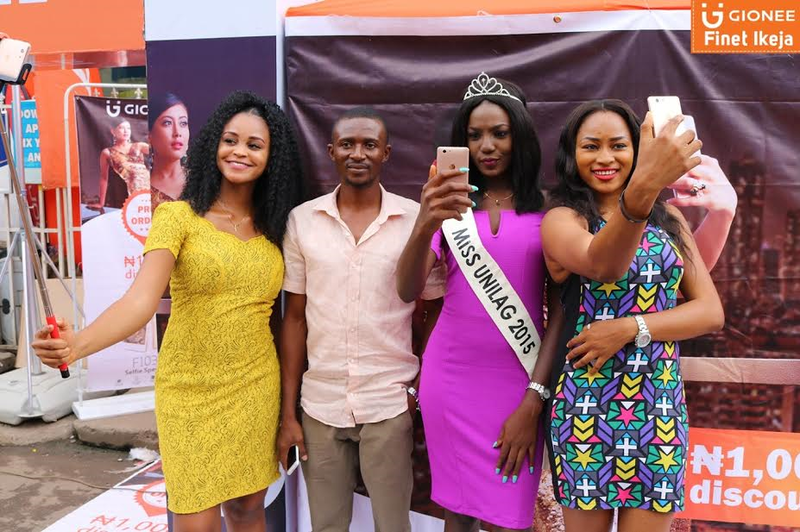 Making the GiONEE F103 pro the undisputed Selfie Specialist. 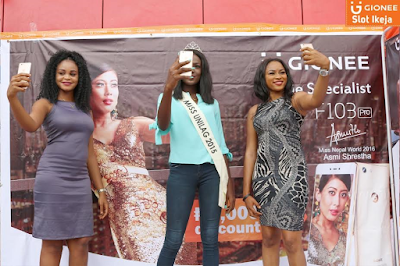 It will be available in stores for N45,000 only. Kourtney Kardashian is on the cover of the October issue of Cosmopolitan Mag out on newsstands Sept. 6th. In the exclusive interview, the reality TV star and mother of three opened up about why she doesn't let her kids watch her show, Kim, Taylor Swift, and her relationship with Scott Disick. "It's her husband, and he's family. The truth is the truth, so why not let it be known?" "That's what I don't know. We're so not there yet." On future children: "I would have more. I could see myself with six kids. I just don't know what's in God's plan. Gisele Bundchen, 36, leads the pack with £22m, a far cry from the £44m she pocketed last year. 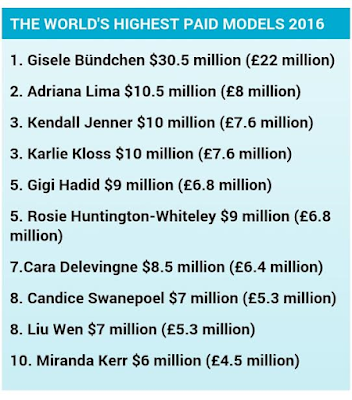 Brazilian, Adriana Lima comes in second with £8m while Kendall Jenner rounds off the top three with £7.6m in earnings. Miranda Kerr brings up the rear with £4.6m. In an exclusive interview for the latest issue of People Magazine, reclusive reality star Rob Kardashian and his pregnant fiancée, Blac Chyna, opened up about their impending arrival, repairing relations with his famous sisters and dealing with his 100-lb. weight gain. Read some excerpts below. 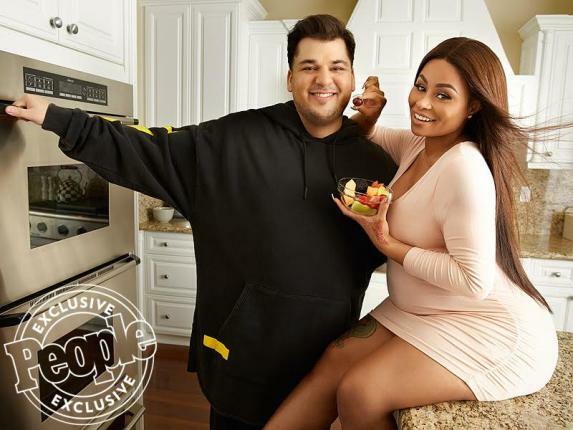 About the long, dark road that he found himself on before finding love and happiness with fiancée Blac Chyna, Rob said: "She got me through my darkest time. I wasn't happy in my own skin. I missed out on so many things." 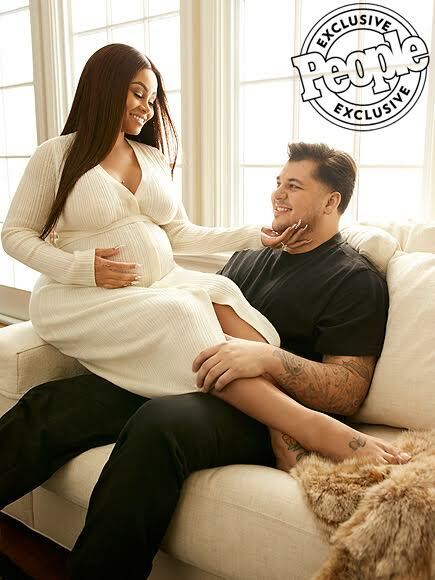 On how he went from secluding himself inside the house he shared with sister Khloé to falling in love and proposing to Chyna: "I've been friends with Chyna for a long time. She was someone I reached out to for advice. She would cook for me and we'd just talk. She's surrounded me with a lot of positivity. From the moment we met, I knew I wanted to be more than friends. Chyna definitely motivates me. Being with her got me over the insecurity of being out in public." 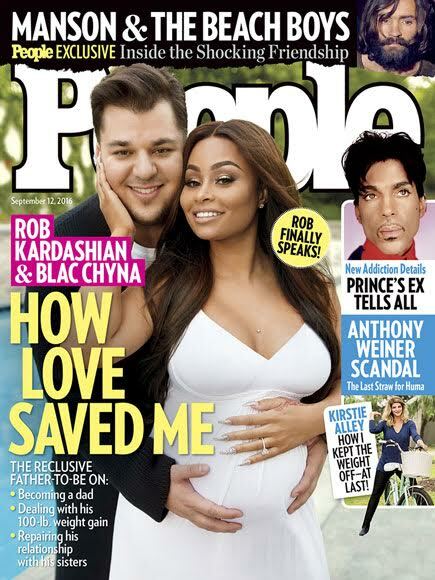 Blac Chyna also revealed that she wasn't out to change Rob but to only give him support. "I saw Rob was willing to better himself. I had never wanted to be tough. I never wanted to change him." 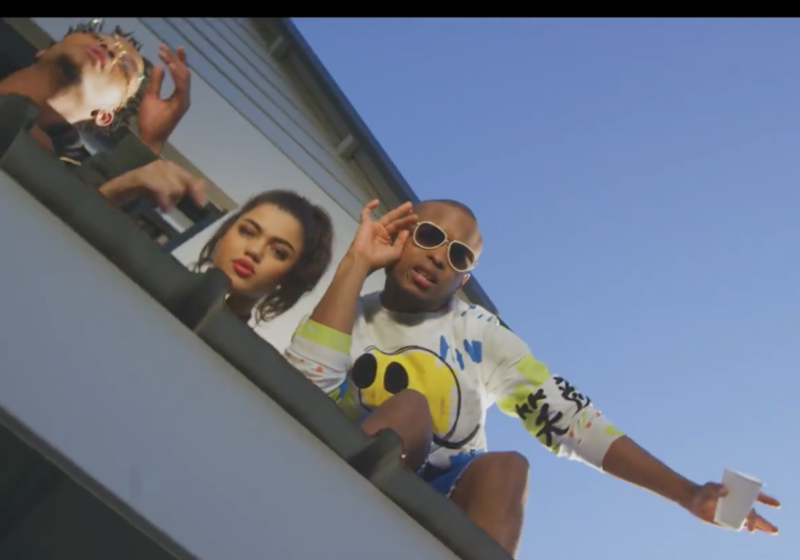 Mr Cashtime a.k.a K.O stays consistent with the releases as he makes another drop just few days after he dropped “Fall Back”. He releases the visuals to the previously released 808-tinged single entitled “KOrruption”. In the video K.O moved into his new mansion in a white-dominated neighbourhood. He threw a befitting housewarming party to that effect and disturbed the peace. 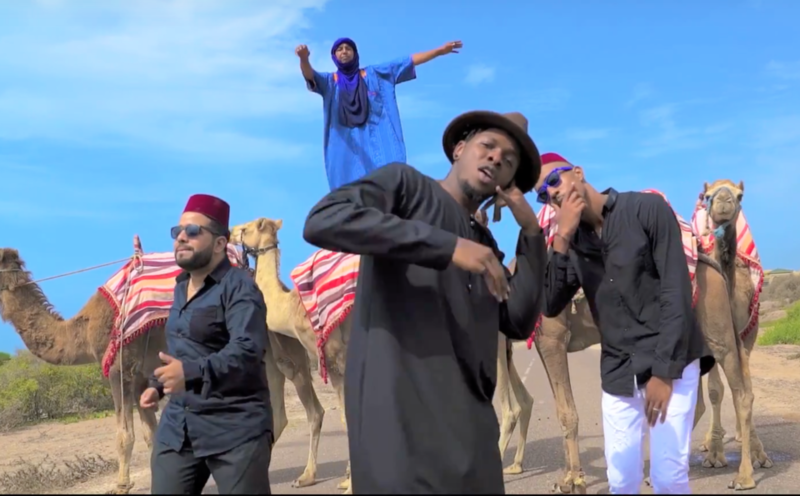 Runtown revisits his “Ghetto University” album as he serves up the visuals to “Tuwa Shinkafa” and he enlisted Barbapappa for the hausa-themed tune/visuals. Dressed up in full Hausa Regalia, Runtown plays an onscreen hausa man, riding on camels with some buff females hanging around him. The video kicks of with Ice Prince, an onscreen Prince seeking out a wife/queen. A priest informs him his soulmate is in the Southern part of Africa and he promptly jetted to South Africa in search of his queen. 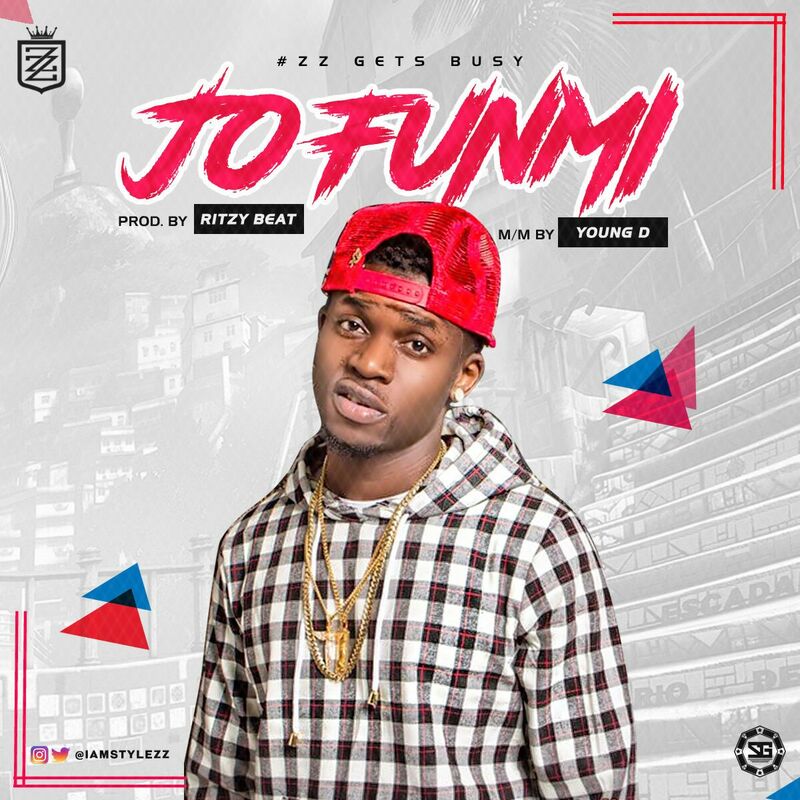 United States based Nigerian artist, STYLEZZ is out with a brand new single off his upcoming “Zz GETS BUSY EP” titled “JO FUNMI”. Produced by RITZY and Mixed/Mastered by YOUNG D.
Pana by Tekno continues to rule the airwaves for the 2nd straight week and Phyno’s Fada Fadabattles to keep up. Kiss Daniel’s Mama has however dropped further down to no5 while ‘NoKissing’ by Patoranking featuring Sarkodie comes in at a solid no3. Watch the top 10 charts video below. BET Award-winning rapper – Falz revisits his critically acclaimed album – “Stories That Touch”, as he gives one of the standout singles –” Chardonnay Music” on the LP the visual treatment. The plush visuals was directed by the worldly cinematographer – Sesan. 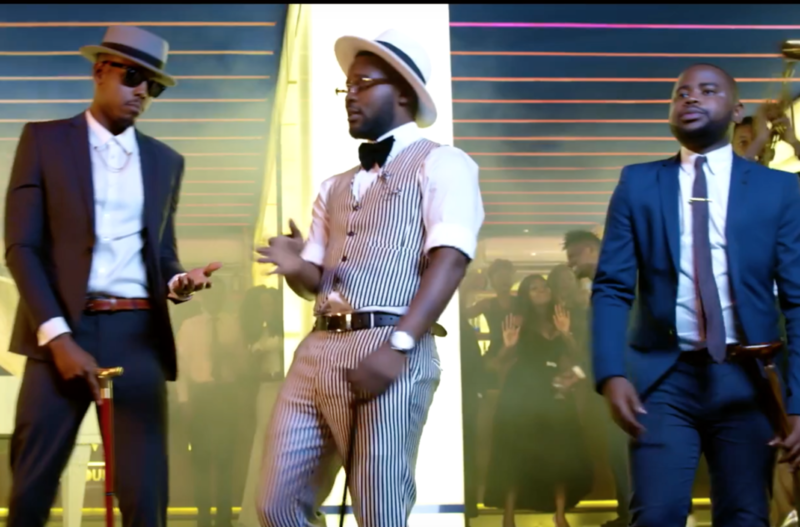 With the trio of Falz,Poe and Chyn dressed up to the nines, they hosted a ‘chardonnay party’ with cameo appearances from a constellation of industry stars. RCA records signee – Ayo Jay has been on a hot streak with stellar releases. Just after releasing the Chris Brown and Kid Ink-assited remix to his smash crossover hit single – “Your Number”, he liberates the official video to the hot number. 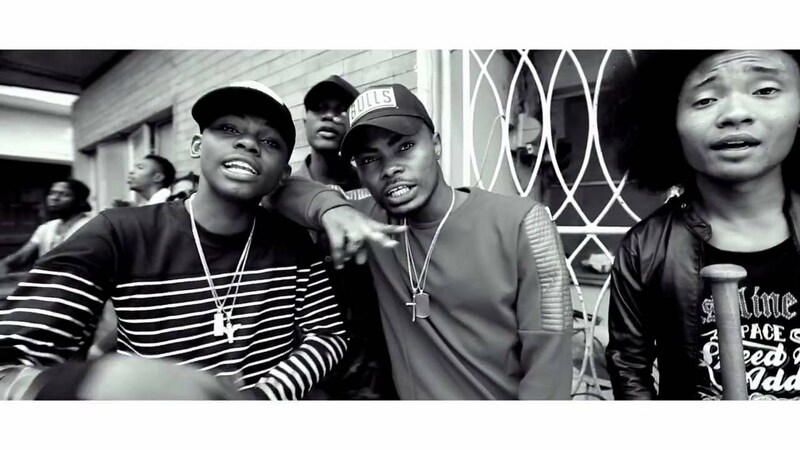 In the visuals Ayo Jay can be seen posted up on the block with his buddies as he calls for females to bust moves to his smash single, accordingly a gaggle of hot female dancers responded to the call. 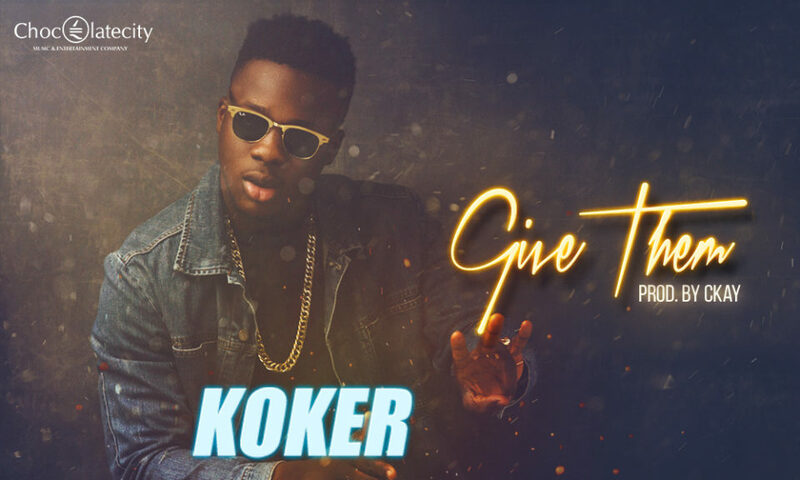 “Following the unprecedented success of Kolewerk and even a more mouth-watering remix featuring Olamide, the man with the name of everyone’s lips, Koker is back once again with a brand new single titled ‘Give Them’ produced by the newly signed Chocolate City artiste-producer, Ckay. ‘Give Them’ has already been termed as the ultimate party starter by music pundits and DJs seem to already have their work cut in half with the highly energetic tune garnished with lots of percussion. 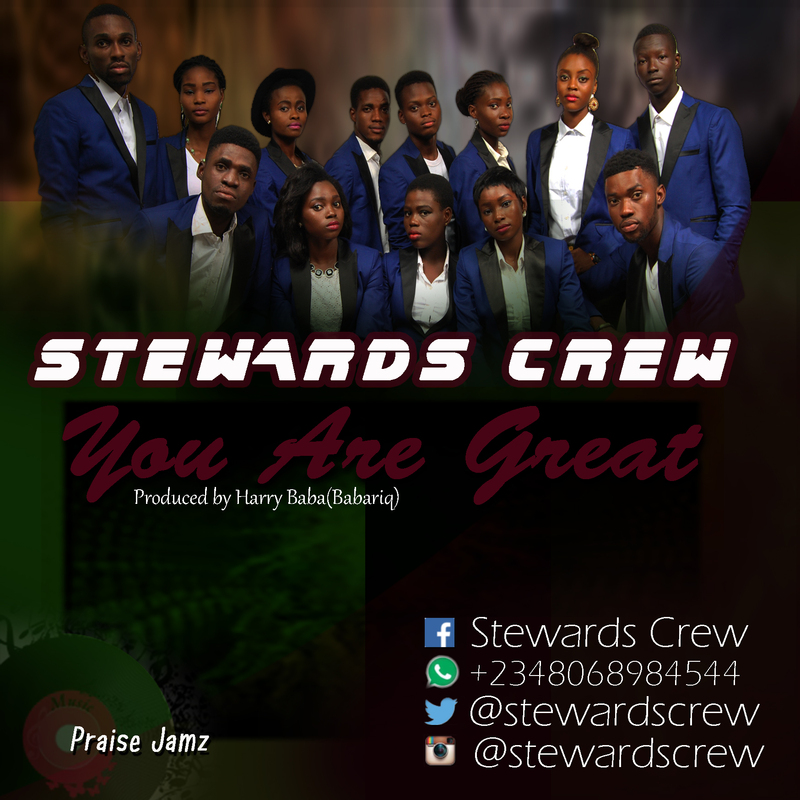 You are great is a Gospel Dance hall. A song that is to be played anywhere and everywhere which is targeted to insight everyone who listen to it to praise and worship God in season and out of season. TOKYO International Conference on African Development, "TICAD 6" just ended in Nairobi, Kenya and in attendance were several African Presidents and Prime Ministers including our own Muhammadu Buhari and the co-convener of the conference, Shinzo Abe, the head of the Japanese government.The TICAD seeks a win-win partnership between Japan and Africa. A key objective of the conference is to build up African ownership of its own vision of growth and development. In furtherance of this, Japan seeks to differ with the other players on the continent by placing emphasis on high quality infrastructure that do more than job creation by transferring technology through the training of youth and women. The conference held every five years from the time it started in 1993 until the last one in 2003 when it was decided that it should be convened every three years instead. The one that just finished is significant in the sense that this was the first time it took place in Africa. They met in Japan all the time in the past. Another significant departure is the recognition of the role of the private sector in the economic take-off of the continent. In this respect, more than 100 Chief Executive Officers, CEOs from leading Japanese companies accompanied Prime Minister Abe. This is a clear indication that more and more Japanese companies are eying the African continent. 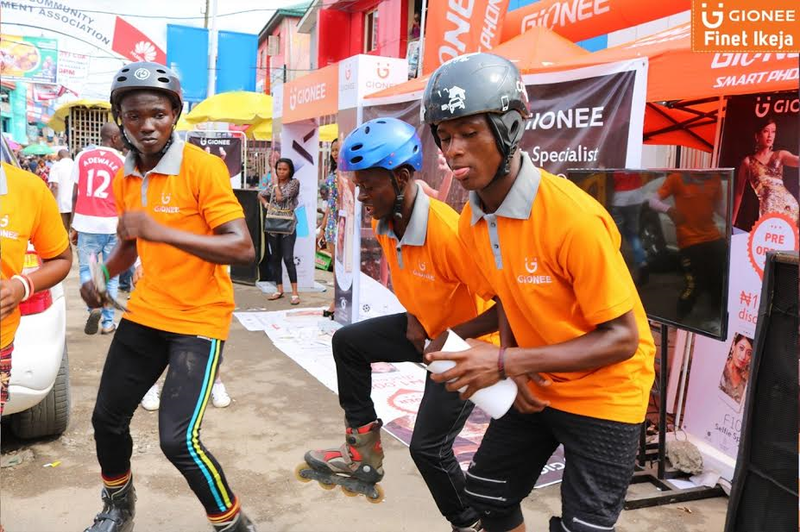 A modest number of Nigerian business and state-owned enterprises were equally present. From its start, Prime Minister Abe made known the intention of Japan to spend 10 Billion Dollars in the next twelve months and overall USD 30 Billion over a three-year period on areas key to African economies, targeting infrastructural projects such as roads, energy, ports, hospitals and training institutions. The money will partly be disbursed through the African Development Bank, ADB. At the end of the conference, a statement tagged "Nairobi Declaration" was issued. Among its highlights is the launching of "Initiative for Food and Nutrition Security for Africa, IFNA." This aims to bring African governments together to swiftly implement food and nutrition security policies and programs. There were important resolutions taken on economic diversification and industrialization; promotion of "resilient health system for quality of life" and measures for the promotion social stability and shared prosperity. 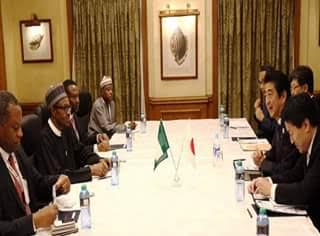 For Nigeria in particular, "TICAD 6" milestones include the important meeting between President Buhari and Prime Minister Abe, at which event problems militating against the inflow of Japanese investment into Nigeria were discussed and agreed upon. Japanese companies had done a lot by way of investment in the past in Nigeria but there has noticeably been a drop in the last decade or two. Chiefly to blame is the problem of security, disguised in official discussions as "business environment." President Buhari used this meeting effectively in giving assurances that the problem is being addressed. Boko Haram terrorism is nearly gone and sabotage in the Niger Delta will soon be ended preferably through dialogue and if not, by force of arms. Coming into close personal contact for the second time, the two leaders discussed the issues of trade and investment, health, peace and development of the continent. In addition, they discussed issues in diplomacy and international relations. President Buhari's statement at the Head of States' round table meeting with business leaders underscored the serious efforts government is making to improve Nigeria's notoriously bad business environment. At this meeting, he announced the coming into place of a soon-to-be inaugurated "Presidential Enabling Business Council, PEBEC." He described it as an inter-ministerial council to oversee the efforts of government to remove various bottlenecks that stifle business and economic activity to give way to the right enabling environment and investment climate in Nigeria. It will be powered by the government but will be private-sector driven. According to its vision, the PEBEC will make Nigeria one of the most attractive business destinations in the world. It will start with the modest effort of moving the country up 20 points in the World Bank ranking in the ease of doing business in the first year, taking it into the top 100 at the end of the four-year mandate of the current administration. A third takeaway is on the sidelines of the TICAD where the Nigerian government delegation met a good number of big Japanese enterprises. Collectively and individually, these businesses expressed their intention of either coming in newly or expanding their participation in Nigeria's private sector. The companies with varied interests in power, agriculture, automobile, motor cycles, textiles, financing and the service sector included the Honda Manufacturing (Nigeria) Limited, representing Honda Motor Co. Ltd; Japan Tobacco Inc., Marubeni Corporation and Mitsubishi Corporation. Others included Toyota Tsusho Corporation, Toyota Tsusho (Nigeria) Ltd., an affiliate of Toyota Tsusho Corporation, West African Seasoning Co. Ltd., affiliate of Ajinomoto Co. Inc., and Japan External Trade Organization, JETRO. At these meetings, they explored the scope for the incentive packages the Nigerian government will give them so as to deepen and expand their investments. These included export rebates, access to Foreign Exchange, land, interest rates, transparency in business regulation and favourable regulatory structure. The fourth important takeaway is the formation of a new group KENSA made up of industry leaders on the continent, Kenya representing East Africa, Egypt for North Africa, South Africa for the South and Nigeria, from West Africa. The four countries agreed to consolidate their quadrilateral grouping initiated at the 19th July UNCTAD (United Nations Conference on Trade and Development) meeting and decided to expand business and trade between the four of them, inject impetus into the CFTA, the African Union-inspired free trade agreement among African countries and to coordinate their positions on trade and investment inside and outside Africa. Fifth, Nigeria and Kenya seized the opportunity of the meeting of their leaders to not only strengthen bilateral relations but to follow up on the achievements of the State Visit to Nairobi by President Buhari earlier this year. From the time of the visit, both countries have seen a growing impetus for trade and investment between them. Kenya which discovered oil lately is picking lessons from Nigeria's vast experience in oil and gas. Nigeria is learning from Kenyan experience in managing animal grazing. There are efforts on both sides to share experience and promote private sector participation in trade, cooperatives, micro finance, cotton farming and palm oil processing. Sixth, under the auspices of the Bank of Industry and the Nigerian Investment Promotion Council NIPC, several memoranda of understanding, MOUs were signed between Nigerian parties and their foreign counterparts. From many of these, investments and jobs will follow. On the President's delegation were the Ministers of Agriculture, Health, Budget and National Planning, and Industry, Trade and Investment. There were also the National Security Adviser, NSA and the Director-General, National Intelligence Agency, NIA. Members of the delegation expressed satisfaction with the outcome of the conference and the side engagements. 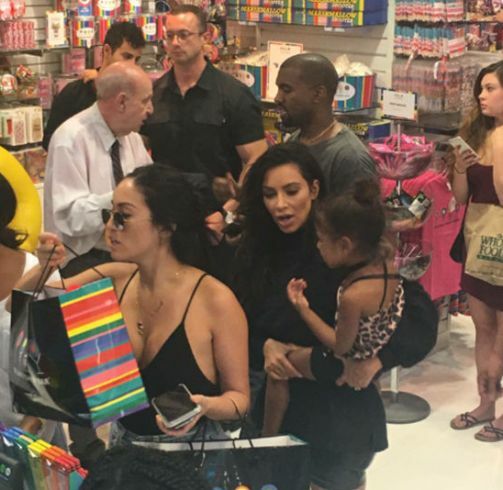 The power couple were spotted at a candy store on Monday with their daughter, North West. Kanye was gracious enough to talk to other shoppers.